Polling in the second Lisbon Referendum has ended after 15 hours. Early indications suggest that turnout may be slightly up on the first Lisbon vote and Fine Gael has claimed an exit poll shows there has been strong support for the treaty. More than 3m people were eligible to vote in the referendum. Polling stations around Ireland opened at 7am and closed tonight at 10pm. Turnout was reported to be high in Dublin but voting was said to be slow in other parts of the country, especially compared to last year's vote. However, many polling stations reported a late surge this evening before polls closed. Returning officers in Munster and in Dublin said turnout was higher than in last year's first Lisbon Referendum, although in Leinster it was reported to be down. The counting of votes begins at 9am in the morning. Tallies of votes should give a reasonable indication of the likely result within a couple of hours. 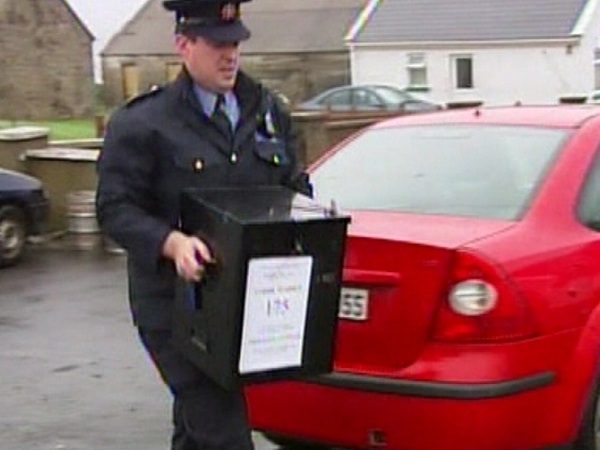 Fine Gael carried out an exit poll, using a representative sample of 1,000 voters in 33 locations around the country. The party's director of elections, Billy Timmons, said the indications were good for the Yes side, with most of the results processed. The Fine Gael poll shows the Yes side ahead by 60% to 40%. However, it will be the morning before the accuracy of the poll can be determined. Among the first to vote was President Mary McAleese, who cast her ballot in St Mary's Hospital in the Phoenix Park. The Taoiseach, joined by his wife Mary, cast his vote at Mucklagh National School Co Offaly this morning. There were a number of members of national and international press present. Fine Gael leader Enda Kenny cast his vote at 9.15am in his home town of Castlebar, while Labour leader Eamon Gilmore cast his ballot in Scoil Mhuire on Shanganagh Road in Shankill. 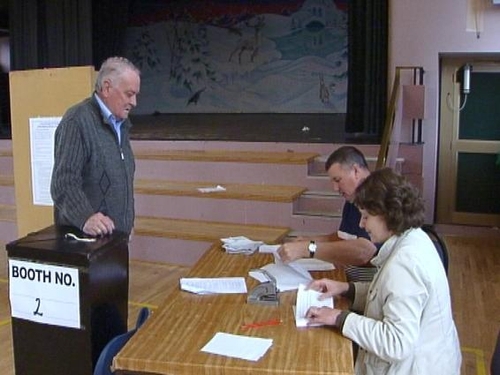 Sinn Féin's Caoimhghín Ó Caoláin cast his vote at St Patrick's Hall in Monaghan town this morning. Socialist Party MEP for Dublin Joe Higgins was in Huntstown School in Mulhuddart, while Libertas leader Declan Ganley, accompanied by his family, cast his ballot at Brierfield National School in Tuam in Co Galway.